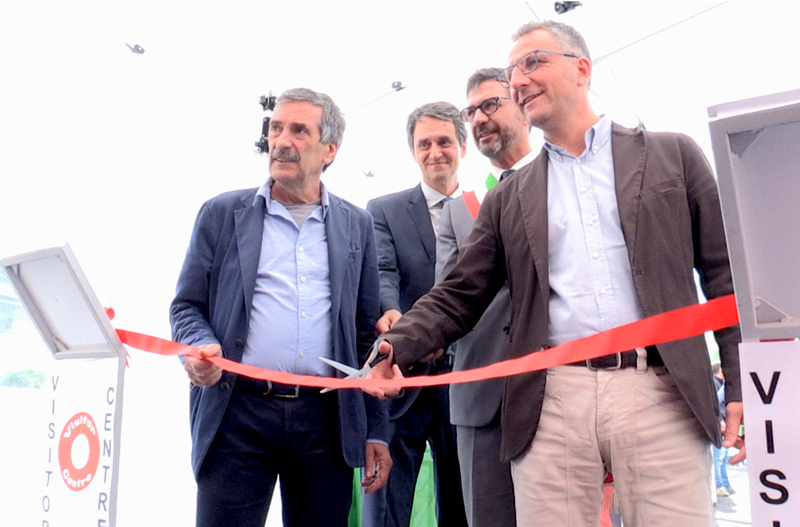 The brand new Visitor Centre of the Frascati National Laboratories has been inaugurated today, October 4th 2018, at the presence of INFN President Fernando Ferroni, the LNF Director Pierluigi Campana, the Vice-president of Regione Lazio, Massimiliano Smeriglio and the Major of Frascati, Roberto Mastrosanti. The new space is addressed to science fans and to those who want to explore and taste the physics and the research performed at the Laboratories. The Visitor Centre hosts a permanent exhibition of real hardware elements of particle accelerators and detectors, together with a review of INFN and Frascati Laboratories activities, a multimedia immersive experience in the fascinating world of particle physics, without neglecting the longstanding historical heritage of the Labs.